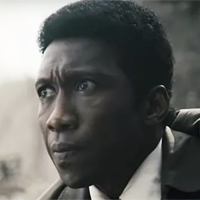 Showing 1 - 15 of 44 articles tagged "True Detective"
True Detective Season 3 gave us "the Birth of the Dorffiassance"
Mahershala Ali was brilliant on the HBO series, but Stephen Dorff really shined in Season 3. Creator Nic Pizzolatto came full circle with the Season 3 finale, says Kenny Herzog. Is Nic Pizzolatto trolling True Detective fans? The True Detective creator has made viewers question everything from previous seasons just by connecting the first and third seasons. It's becoming more apparent that the two seasons are connected. “Creatively, ratings-wise, it did everything that we wanted it to do,” HBO programming president Casey Bloys tells Deadline.